Life took some crazy ups and downs in our little corner of the world during 2016--but, here we are--ready to take on 2017 at last! It's time for our very first Wordless Wednesday post--and our first Wordless Wednesday Link Up / Bloghop in a very, very long time! Most of my days in 2016 offered at least one moment like something out of a "news of the weird and ridiculous" article. Usually courtesy of a child or a dog or a cat. Every day was truly like a box of chocolates! I'm putting it all into perspective today with this photo of Mr. Maxi! It's time to look back and smile! 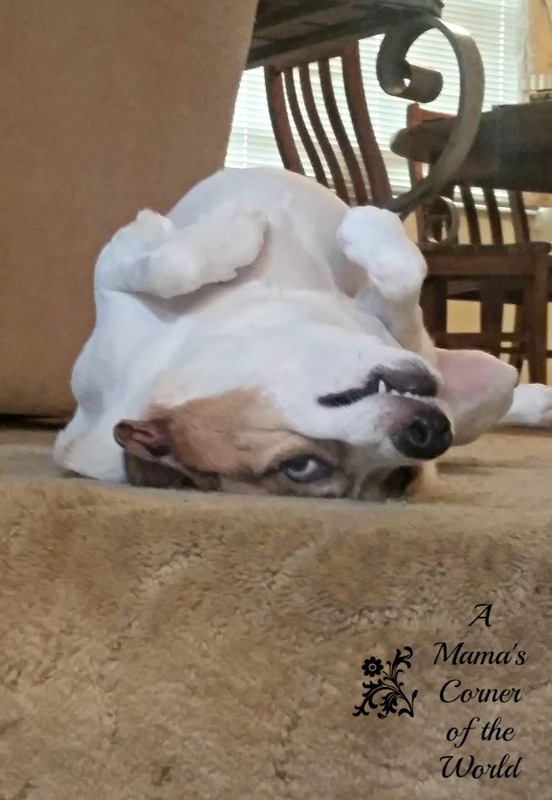 Enjoy and don't forget to link up your own Wordless Wednesday posts at the end! 2016 was busy. It was tiring. It had ups and downs....and some upside down moments. Every day was an adventure. Every day brought something new and different. Join the Wordless Wednesday Link-Up! Thanks for party-Happy New Year!!! I adore that picture! Thanks for hosting. FYI-I'm a huge dog lover. We have 7! How did you get Max to pose like that? Brilliant photo. That is a smile that starts the year off right! Happy 2017! Love the sweet dog smile! That is one happy dog!